"A fantastic book, written in a brilliant manner." al-Haytham’s life like the clues being discovered by a forensic detective." The first device used for projecting an image onto a flat surface was known in Europe as the camera obscura. This term was derived from two Latin words: camera, meaning room or chamber, and obscura, meaning darkened. The original camera obscura was just that—a darkened room with a small opening, or aperture, that allowed light to shine onto a wall or screen. The light on the surface formed a color image—upside down and backwards—of whatever was outside the room, across from the aperture. Although the term camera obscura is Latin, the invention is not. It was described in Kitab al-Manazir, or The Book of Optics, by Ibn al-Haytham. The Book of Optics is Ibn al-Haytham’s most important work. In it the Iraqi scholar corrected misconceptions about vision and light that scholars had believed for centuries. For example, the ancient Greeks believed that human beings were able to see because the eyes sent out rays that sensed objects. Ibn al-Haytham showed that the opposite was true: vision occurs when rays of light enter the eye and stimulate the optic nerve. It was the first time in history that a person had described the mechanics of sight accurately. Ibn al-Haytham did not stop there, however. Building on the work of earlier scholars such as Aristotle, Euclid, Ptolemy, Theon of Alexandria, and Ya'qub ibn Ishaq as-Sabah al-Kindi, Ibn al-Haytham created a unified theory of light, correctly describing its propagation, reflection, and refraction. The Book of Optics remained the leading source of knowledge about optics for the next five hundred years. The most important thing about The Book of Optics is not the discoveries it contains but the way in which Ibn al-Haytham arrived at and supported those discoveries. He was the first person to systematically construct devices—such as the camera obscura—to test hypotheses and verify the accuracy of his findings. By using concrete, physical experiments to support his conclusions, Ibn al-Haytham helped establish the modern scientific method. The Book of Optics was not Ibn al-Haytham’s first book about vision. In the introduction to The Book of Optics, Ibn al-Haytham states that he wrote a treatise on optics earlier in his career. This work probably was a commentary on another book, such as Ptolemy’s Optics. 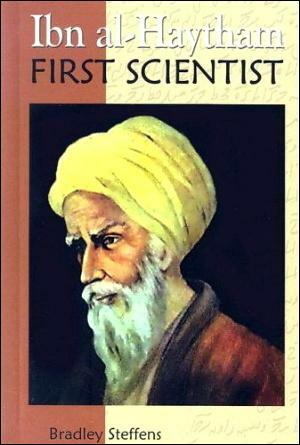 Ibn al-Haytham admits that he “followed persuasive methods of reasoning” in his earlier work, but he did not verify his findings with what he called “true demonstrations.” The lack of experimental proof in the first book was such a great flaw, Ibn al-Haytham wrote, that anyone who find the work should disregard it.